Don’t forget that Museum Members receive a 20% discount on Backpack Explorers. Click here to become a Member. In order to access your Member discount, you must create an online account if you have not already done so. Click here to create an account. RSVP and pre-payment are required as space is limited in Backpack Explorers. Children ages 3-5, accompanied by a caregiver, investigate science, art, music, stories and culture in a fun, hands-on manner. 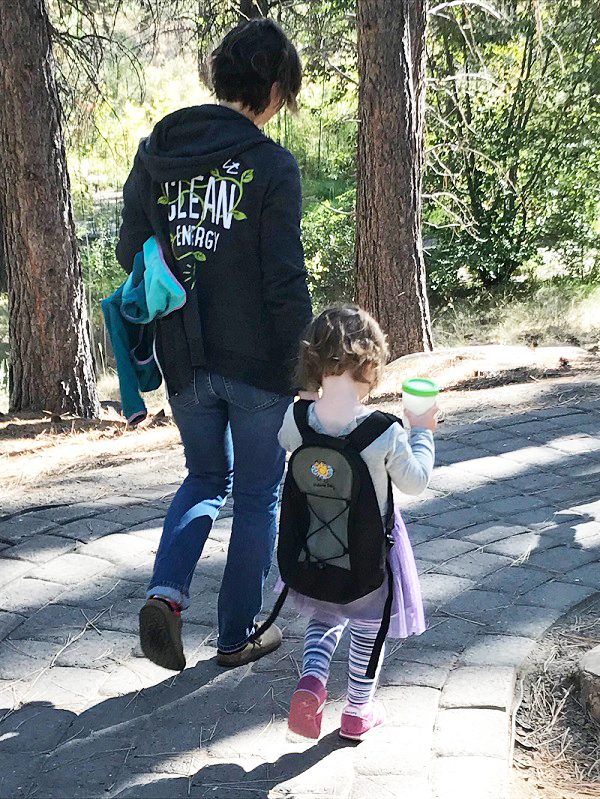 Your little will don a backpack filled with exciting artifacts while journeying through the Museum’s nature trails and exhibits. Foster artistic expression in your little one and take home activities to continue the learning. New themes weekly! Per High Desert Museum policy, no refunds can be issued. For cases of illness or emergency, with notice 24-hours before the class, a class transfer may be issued. Click on the underlined dates below to register! Explore the “two lives” of toads and frogs, as these hoppers spend time in both water and on land. Find out which one is a faster swimmer and which one is a higher jumper. Celebrate snakes at the Museum! Make your own snake puppet, listen to a silly snake story and create your own cereal snake. Play a matching game and visit with an animal friend. Backpack Explorers will resume in September 2019. Have a wonderful summer!